Now, for the first time inside a courtroom, witnesses and jurors are looking at crime scenes in a whole new way. In fact, the Detroit FBI calls the new program a game changer. It was back on June 21st, 2017 that Flint Bishop Airport Officer Jeff Neville says his life changed forever. 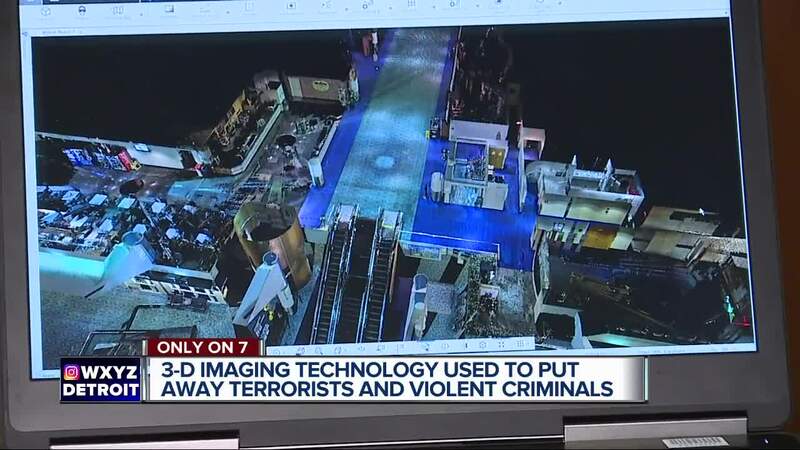 (WXYZ) — Now, for the first time inside a courtroom, witnesses and jurors are looking at crime scenes in a whole new way. In fact, the Detroit FBI calls the new program a game changer. It was back on June 21st, 2017 that Flint Bishop Airport Officer Jeff Neville says his life changed forever. “He missed by millimeters. Literally my windpipe and my artery. The thing I’ll never forget is being on all 4’s and that puddle of blood growing underneath me,” says Neville. That day, convicted terrorist Amor Ftouhi had stabbed Neville repeatedly in a surprise terror attack. After being fought off and arrested, Ftouhi revealed his ultimate plan. “What he told the FBI that day was he wanted to kill me, take my gun. Kill other police officers. Then, hopefully be killed by officers because it was the last day of Ramadan,” says Neville. But, miraculously a week later, Jeff was out of the hospital and later able to testify against the Tunisian native who came from Canada. When it came time for federal prosecutors to make their case in court, Detroit FBI Agent Jayson Chambers got the call. 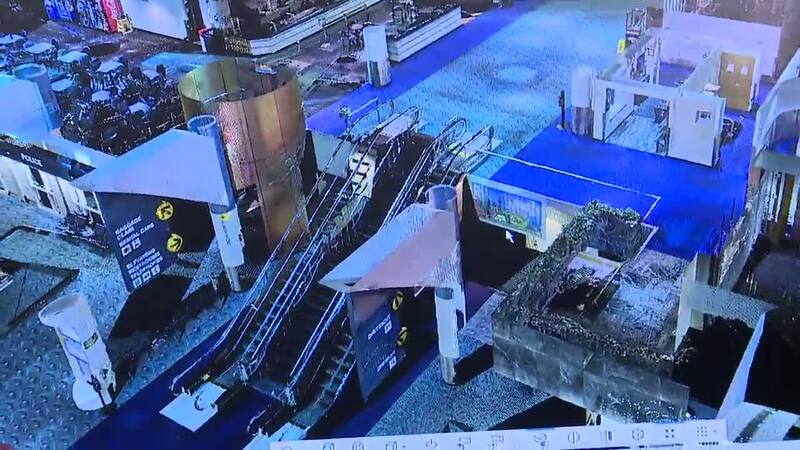 Using a laser based 3D imaging system, he and other agents were able to fully recreate the crime scene for the jury - essentially taking them back to the airport. “All these things that are a part of the story that the jury needs to know, because the jury is hearing testimony about all these places,” says Chambers. The visual element helped the witnesses deliver more powerful testimony for the jury to place in context. After roughly a week of trial, the jury delivered a guilty verdict. The result has been closure for Neville and his family. The FBI says the success of this program in a courtroom setting will mean more use throughout the country. “This is the age of CSI, the age where the jury pool is watching shows like forensic files and CSI, and they think every investigation has to have that type of evidence to prove a person’s guilt,” says Neville. In the meantime, Fatoui will be sentenced next Thursday.